This post is "in progress". I am hoping people can review, do additional research, and make contributions. The basic premise is from "Obvious" at ENENEWS who postulated a link between Fukushima released Strontium, and low oxygen causing toxic blooms and also direct animal deaths, beachings, etc. 1) More galactic masses, energy generators, 'cosmic ray' generators are lined up with each other to blast the earth. 2) These things can also affect the earth's magenetosphere, which is generally a protective shield, and influence all kind of things, one being cloud nucleation. 3) Other effects like gravitational, and the missing component I shall coin today as the "Volume Bungee" can certainly be influenced by galactic center and sun interaction with the earth. 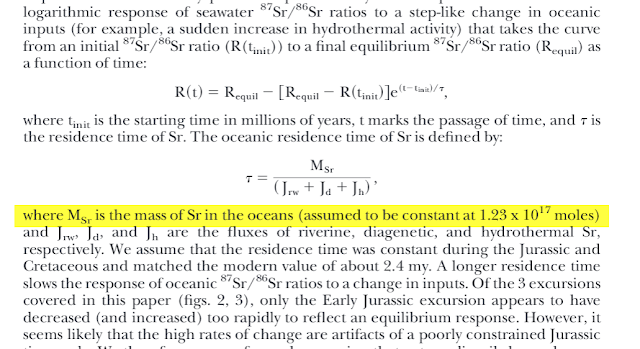 4) These events could have an influence of the "floating land" which makes up what we call land, and the sea floor. Specifically volcanoism, earthquakes, ocean floor vents. 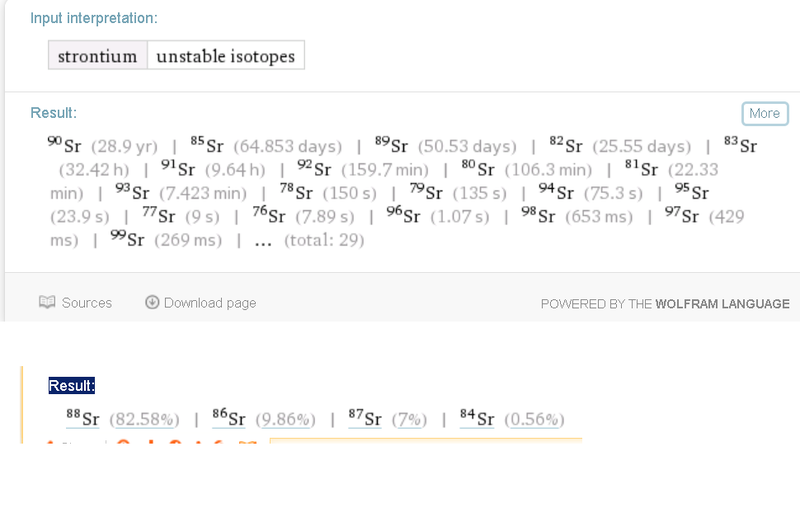 5) These things could have a massive effect on earth chemistry. A quick note on the newly coined "Volume Bungee" which is the missing link in celestial physics. There is an elephant hiding right under our nose, and that will explain why small and fast moving things like comets, which would not significantly affect earth by gravitation, do in fact cause a statistically significant increase in large earthquakes. I did a comet study here, please review it. 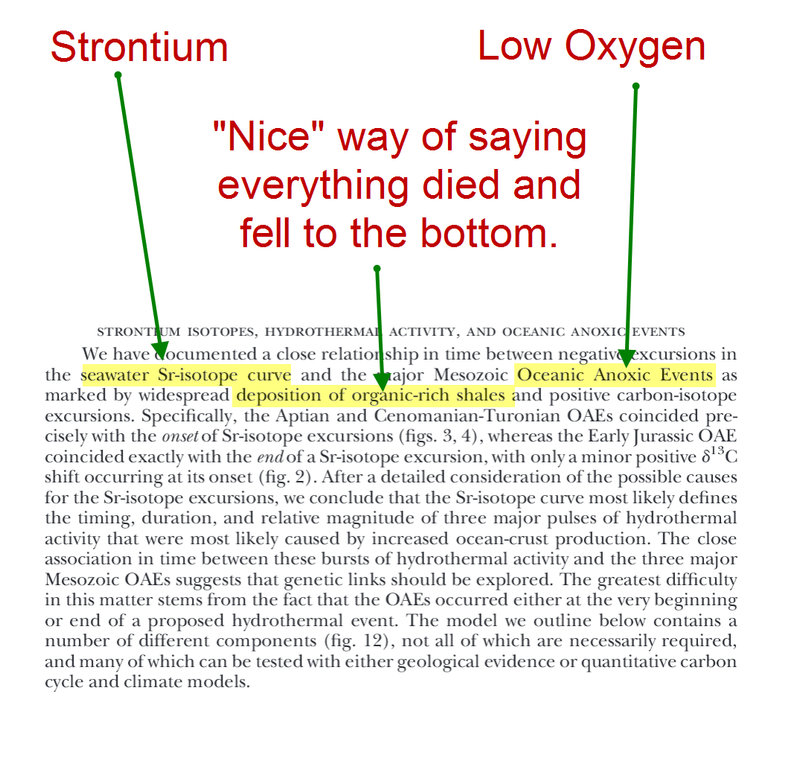 also, Stock, look up relationship between strontium and anoxic events (my POV is Fukushima kicked off the anoxic event we are seeing now and which scientists are so afraid to speak about in full). There are no earthly mysteries, only mysterious scientists. Good but geeky explanation and testing of Strontium ratios for dating and source water science studies. On Page 6, they state Total Strontium analyses of the USGS Standard Water reference, sample 26 of about .844 mg/liter of strontium. 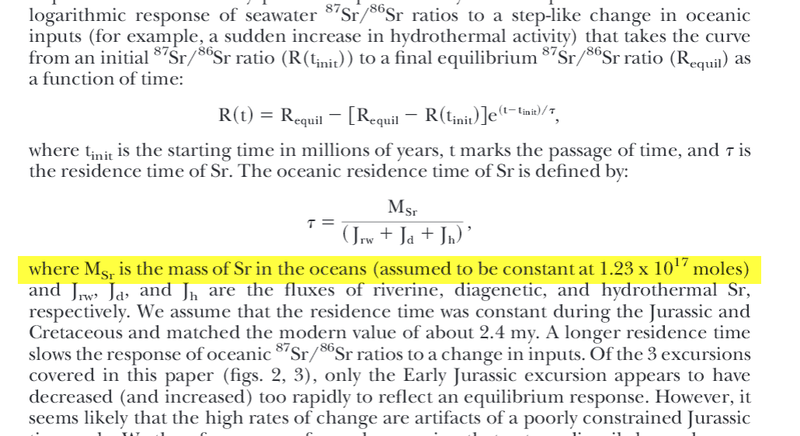 Using the numbers of moles of Sr estimated in Oceans, what is the total mass?